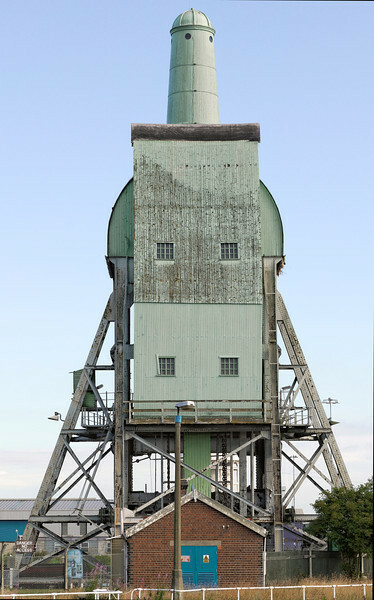 A former Colliery conveyor housing can still have the power to move. Most recently occupied by Northern Divers, specialist underwater engineers, this grade II listed building built in 1901 as a buoy shed by Hull Trinity House, now stands empty. Hull Trinity House was responsible for buoying and navigation in the Humber from the mid-fifteenth century. 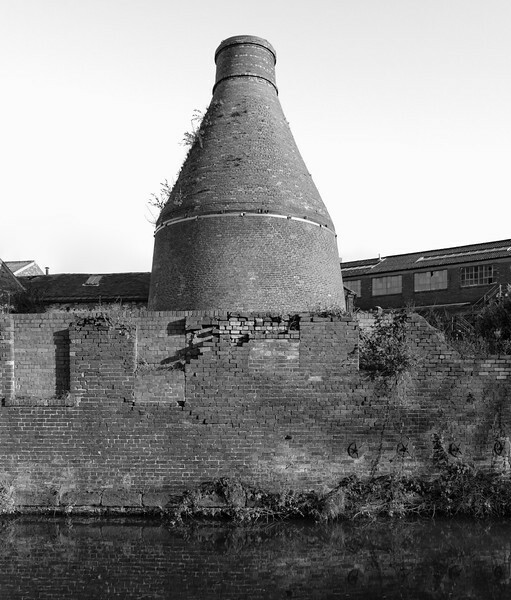 As the Central Melting Plant at Stanton Ironworks, Ilkeston, Derbyshire, was demolished in 2009/10, it's huge cupola furnace was finally revealed. 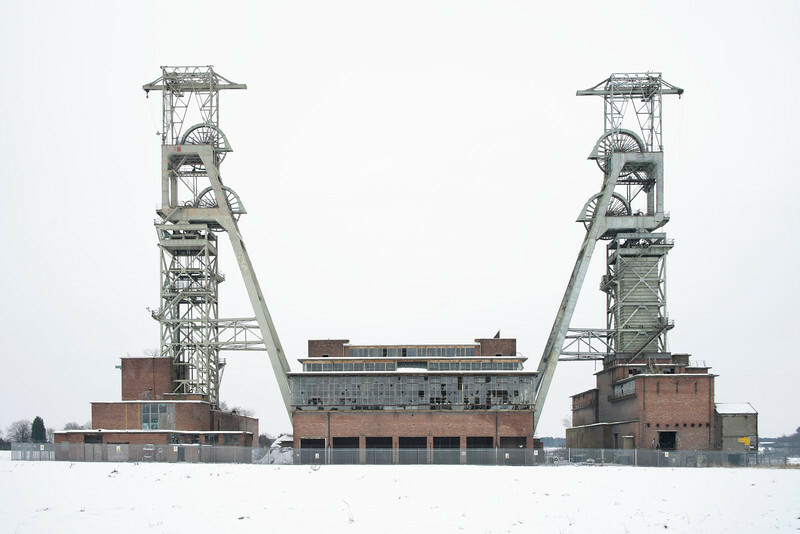 Construction started on the CMP (originally the Iron Refining Plant) in 1965 in order to have a plant that could covert the high phosphorus iron the Company's blast furnaces were producing into low phosphorus foundry iron by means of a 70 ton Swedish designed Kaldo convertor. 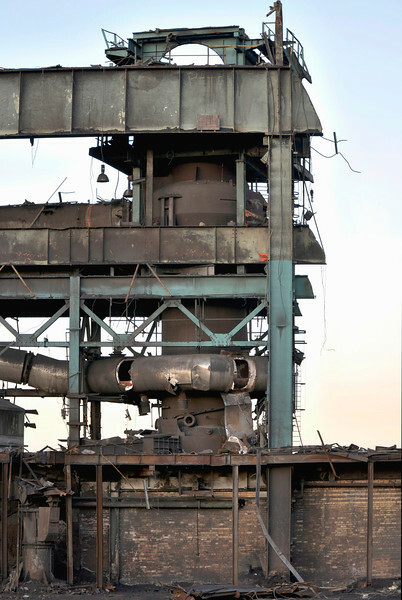 It didn't turn out to be the success the Company hoped as the process turned out to be far too expensive and after only two years was scrapped and the plant converted to producing iron from 100% scrap via this single cupola. 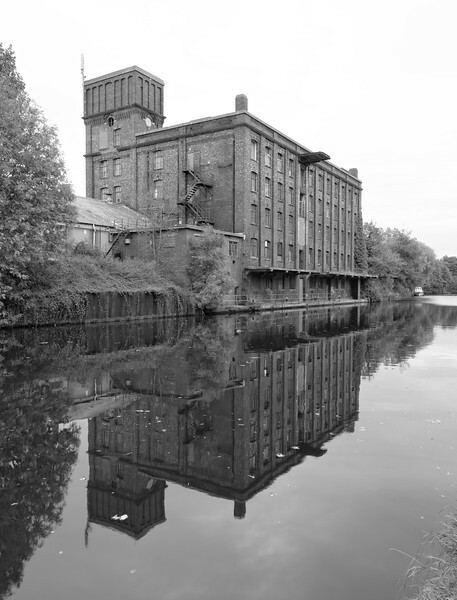 Built in 1919 as part of an oil extracting mill for the British Extracting Company, the Grade II listed brick built structure towers over the banks of the River Hull. The receiving house was used for the transfer of material from road and river into the silo. West Wharf, Hull, on the banks of the Humber, was built in 1911 to handle ships bringing in fruit and vegetables from overseas. 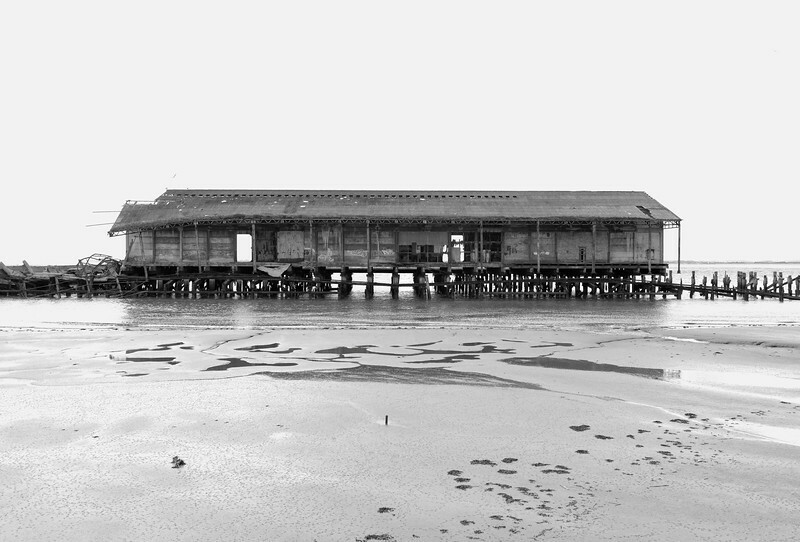 This, one of two transit sheds, was linked to the shore line by a rail system that has crumbled into the tidal waters. The transit sheds are not far behind. Price & Kensington Pottery, Buslem, Stoke-On-Trent, Staffordshire. Out of Rank Hovis, Hull. 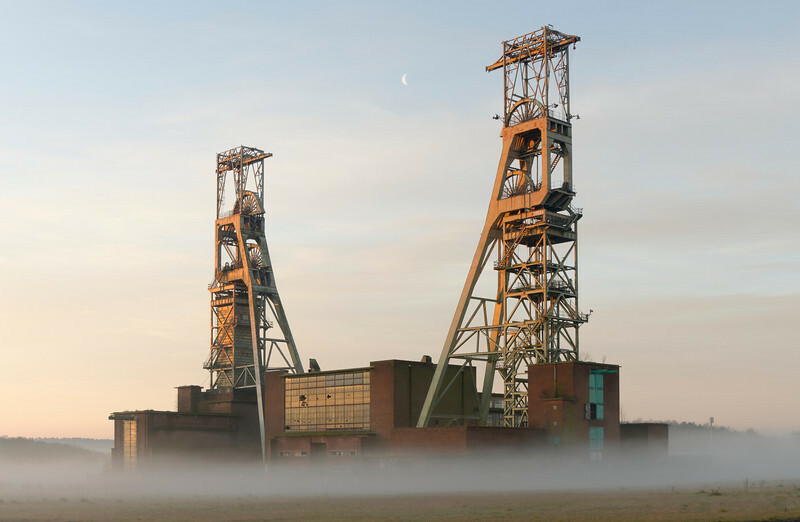 Nottinghamshire's Clipstone Colliery's 220ft headstocks. 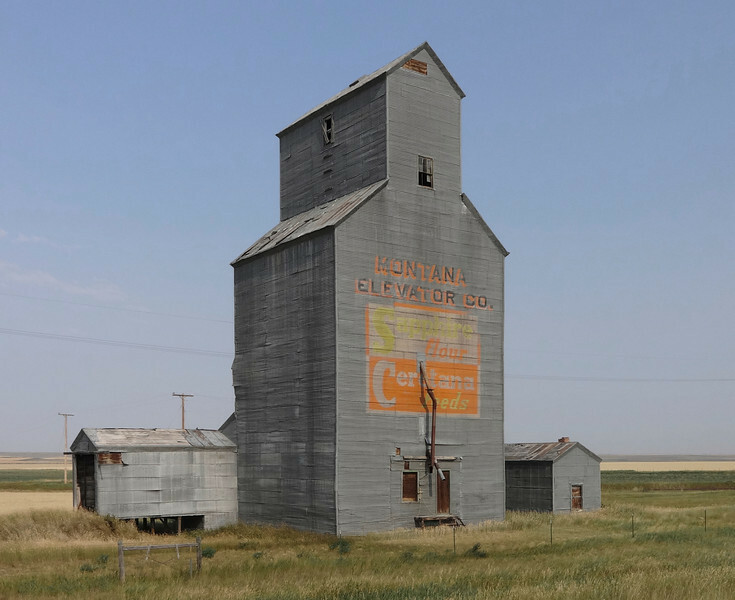 There are many beautiful sights in Montana and some of them are man-made. 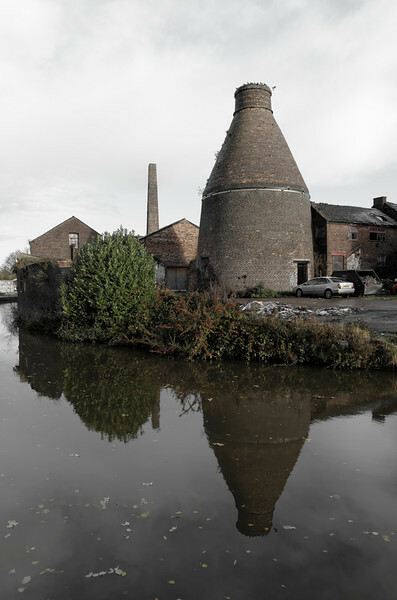 The last remaining bottle kiln at the former Price & Kensington Pottery at Burslem, Stoke-On-Trent, Staffordshire, stands defiantly over the banks of the Trent & Mersey Canal.